Is The Meta Keyword Tag Still Used By Google, Yahoo or Bing? One of the biggest topics in SEO is the dispute of the “keywords” meta tag and if Google, Yahoo and Bing still use it for ranking factors. This dispute started back in September of 2009 when Matt Cutts, Head of Google’s Webspam team, posted a video and article on Google’s webmaster blog stating that Google does not use the keywords meta tag in web ranking. With this statement, many webmasters started questioning whether or not to continue using “keyword” meta tags in their SEO efforts and whether or not Yahoo and Bing will follow suit. Lets take a look at the 3 major search engines and their stance on “keyword” meta tags. As stated above, Google has come out and said on their blog, “Google doesn’t use the ‘keywords’ meta tag in our web search ranking.” Google says that it can’t guarantee that it will never use it, but that they are pretty confident that it will not be used in future updates. Some believe it is possible that Google may use these for negative ranking to attempt to catch those that may be attempting to falsely rank their website for non-related terms, however, there is no evidence or statements that support this theory. Yahoo basically says that they use “keyword” meta tags but assigned almost no weight to them. When there is no other optimized SEO on the page, your page may still be pulled up with unique keywords inside of that meta tag, however, other sites will have more weight and most likely out rank yours. It sounds like you’re saying that you see a high correlation between crummy pages and people who use the meta keywords tag with garbage – that it’s a spam signal, not a ranking signal. If that’s the case, then I’d still advise people that you don’t use it for ranking purposes (which solves all those really annoying questions above) but you might use it as a spam signal and that people simply shouldn’t use it. To summarize, Bing is stating that the use of the tag is optional and does not provide much weight. In fact, if Bing feels you may have stuffed the “keyword” meta tag, they may penalize you. So, Should I Use “Keyword” Meta Tags? The consensus across the SEO industry by industry experts, armed with the information above from Google, Yahoo and Bing, is that you can use “keyword” meta tags with caution. The use of these tags have a high chance of negative ranking impacts if you are seen as overstuffing. 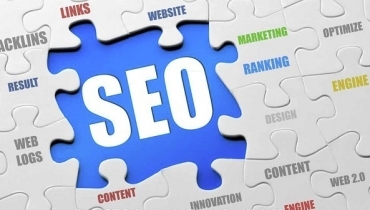 Many SEO experts believe that the potential negative impact far outweighs the potential positive factor on Yahoo or Bing, to lesser used search engines. If you choose to use these tags, be sure follow all the rules and do not overstuff. Another thought to take into consideration is the ease for your competition to know exactly what you are attempting to rank for. Although your competition can often figure out what keywords you are attempting to rank for without the “keyword” meta tag, the tag will make it quick and easy to spot your primary keywords. This allows them easily retarget their SEO efforts for those terms to try and out rank your site. I would love to hear from our readers what their stance is on the use of “keyword” meta tags. Do you use them? Have you seen any impact with the use of them? Let us know or ask a question in the comments section below.